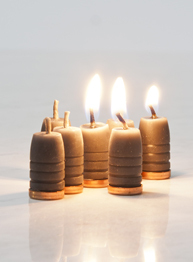 Using the original Lee Company bullet mould for .500 Magnum rounds, we cast these unique candles in natural beeswax. The set contains seven candles, each burning for at least 30 minutes. 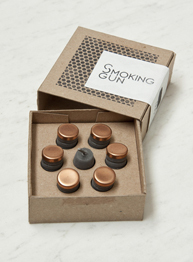 Packaged in a hand made box, each is finished with a mini copper jacket that will prevent them from burning through the surface they are placed on. Fire at will. 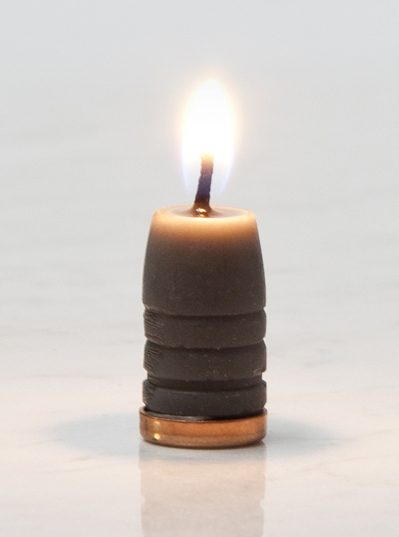 Info sheet: BULLET CANDLES pdf.